Kyoto was really completely peace… if you compare to Tokyo… in these days. I got some charms for my family, because this Kyoto trip was originally their plan, but it was upset by some troubles. You know 2011 is year of the Rabbit. 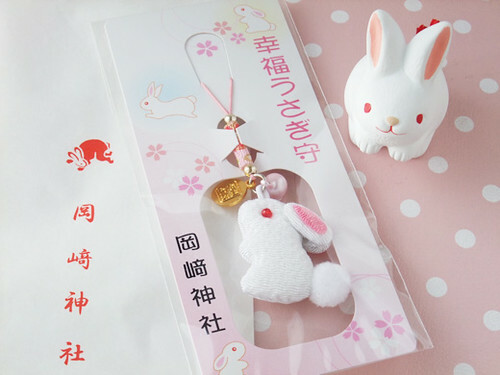 Rabbit charms are from Okazaki shrine. 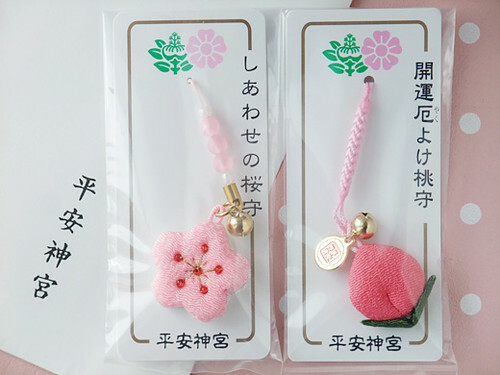 And peach & sakura are from Heian shrine. oh they are absolutely beautiful! I want these charms too! >.